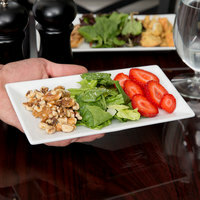 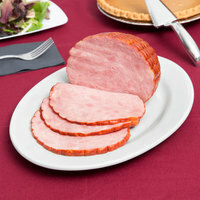 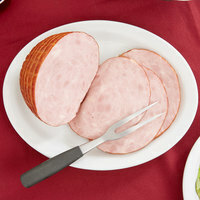 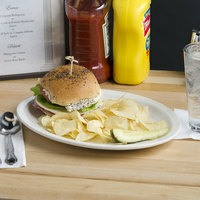 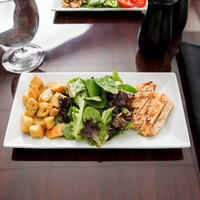 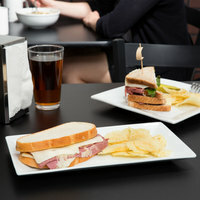 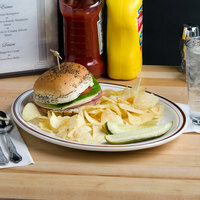 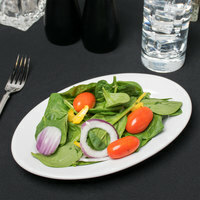 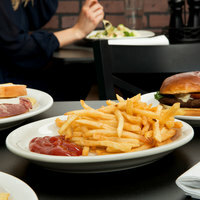 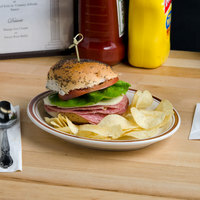 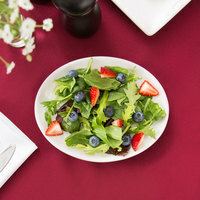 Coupe edge platters and trays have smooth, curved edges and a large well. 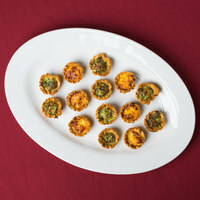 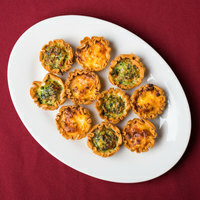 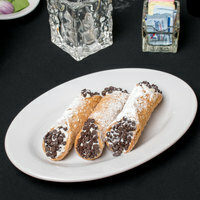 You can use them to serve everything from appetizers to desserts. 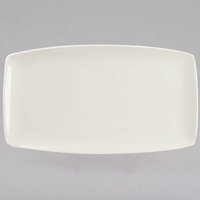 These china platters and trays have embossed edges with embellishments ranging from swirls to latticework. 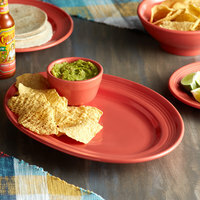 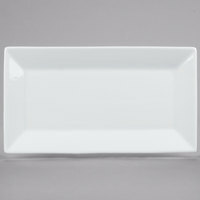 Narrow rim china platters and trays maximize serving space, allowing you to give guests large amounts of food. 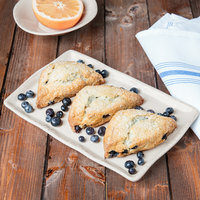 Rolled edge china platters and trays blend a simple look with soft lines, so they'll draw guests' attention to your food. 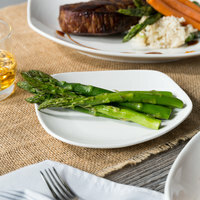 These china platters and trays have unique scalloped edges, and their wavy design is perfect for serving any meal. 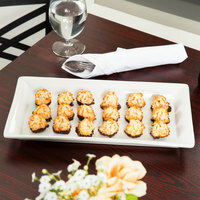 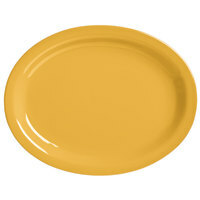 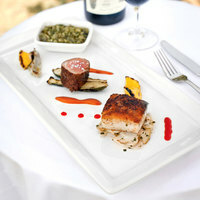 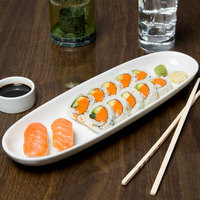 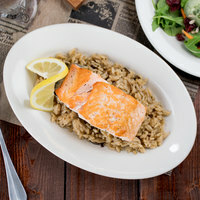 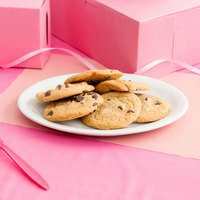 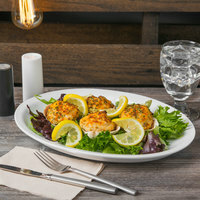 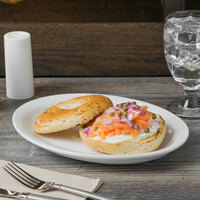 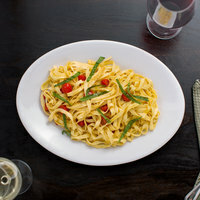 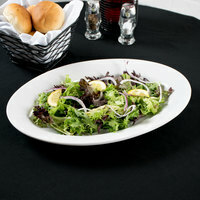 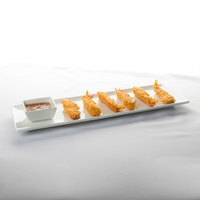 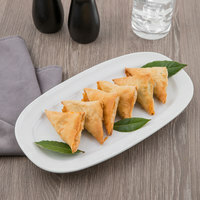 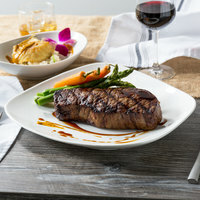 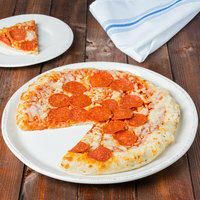 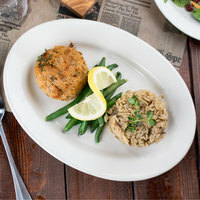 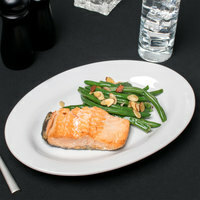 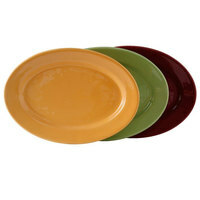 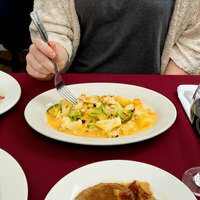 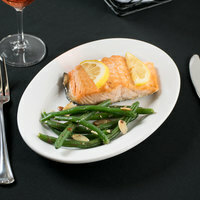 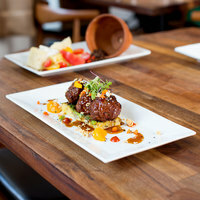 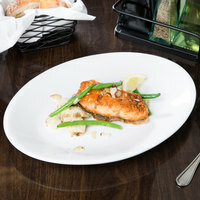 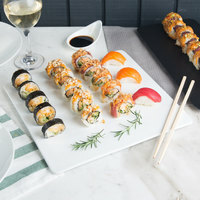 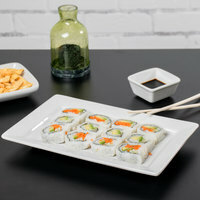 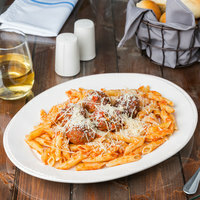 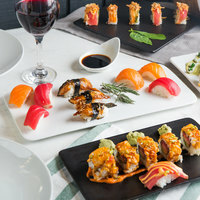 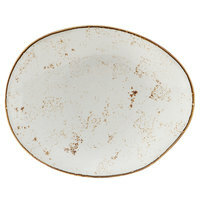 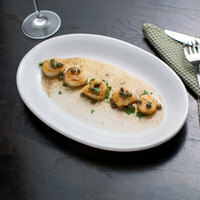 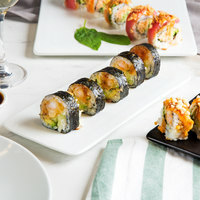 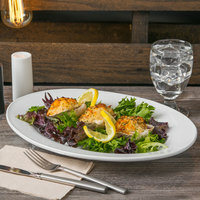 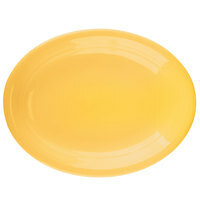 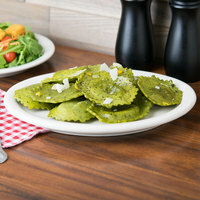 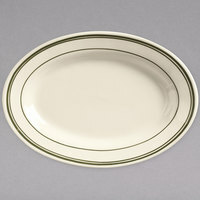 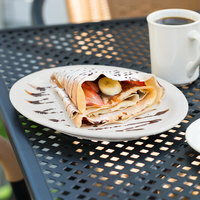 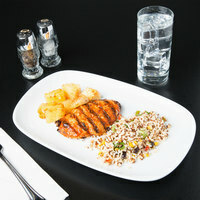 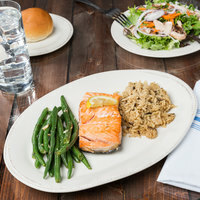 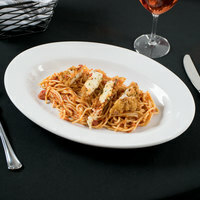 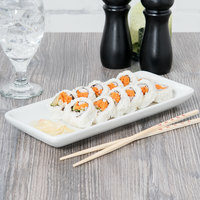 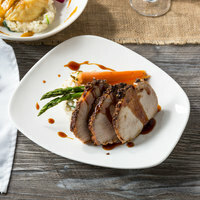 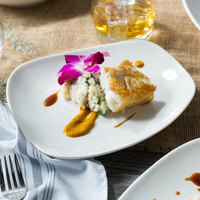 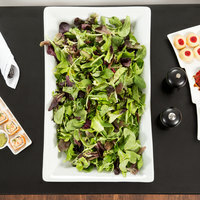 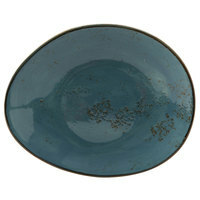 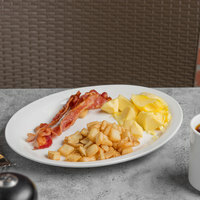 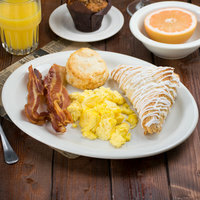 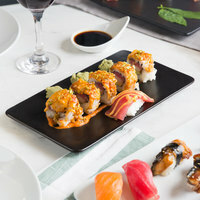 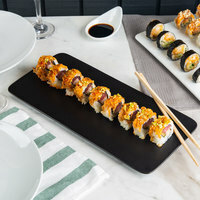 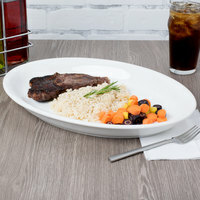 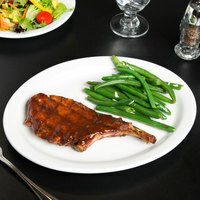 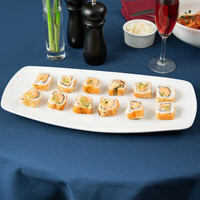 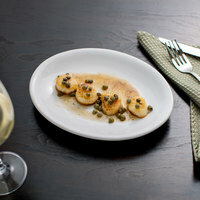 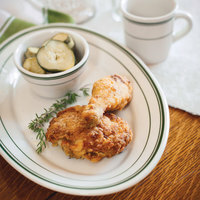 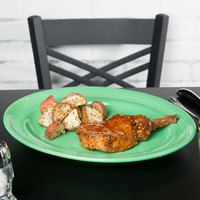 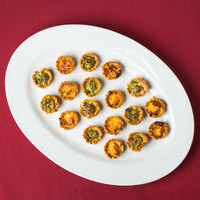 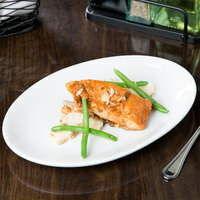 Wide rim china platters and trays provide more space for rim designs and garnishes, which allows chefs to get creative. 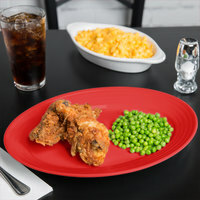 These china platters are available in a range of colors, so you’re sure to find an option that will complement your establishment’s decor. 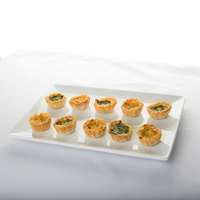 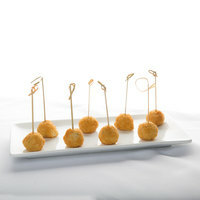 We also carry products that feature multiple wells on their surfaces, which are perfect for presenting deviled eggs. 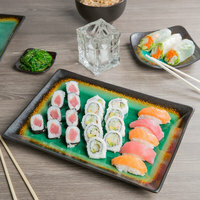 As an added bonus, a majority of these china serving trays are microwave safe for quick reheating and dishwasher safe for fast cleanup. 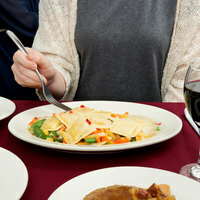 For other supplies for your catered event, check out our serving utensils, cloth table covers, and tabletop tents. 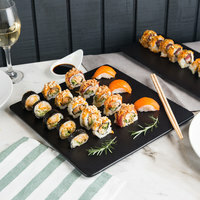 If you're wondering where to buy china platters and trays, we have a large selection of china platters and trays for sale at the lowest prices.